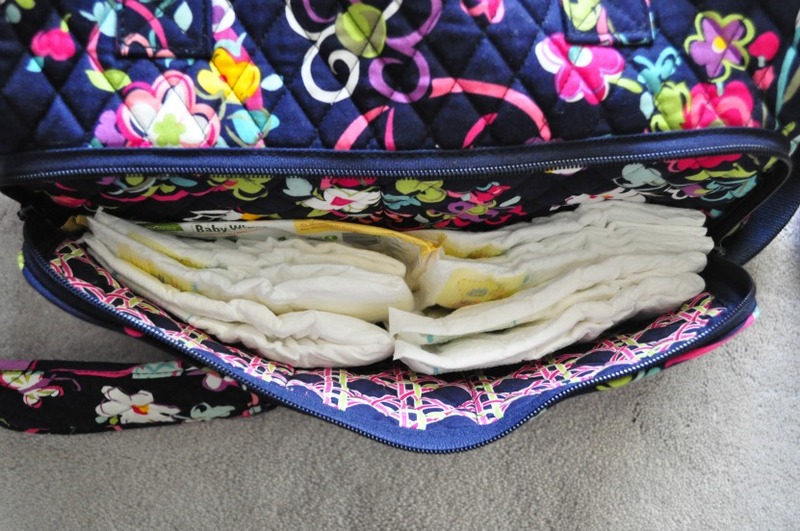 Today I want to talk about a very important piece of equipment - the diaper bag. Though I'd like to try and change this name to a carry-all bag. After all, it's carrying allllll of our baby stuff as well as Mama's things too...so isn't 'diaper bag' kind of a misnomer? And doesn't 'Mom's carry-all bag' just sound a little nicer than 'diaper bag'? I had tried my hardest to not go crazy with toting around baby things. I had a big leather handbag that I'd throw in a few diapers, wipes and an extra outfit and call it a day. But as time went on, I realized that those items simply weren't enough. Not only did I need other items, but having just 'a few diapers' on hand started to really give me anxiety. Penelope could easily go through 2-3 dipes in one change after all (she is infamous for peeing as she is being changed. Her 16-year-old self is going to hate me for that bit of oversharing.). When I realized that I had to finally give in a get a large carry-all for all of her stuff and mine, I wanted something that I would feel happy carrying around. Something for Mom as much as for Baby. And since I know they are super durable and comfortable on the shoulder, I went straight to Vera Bradley. 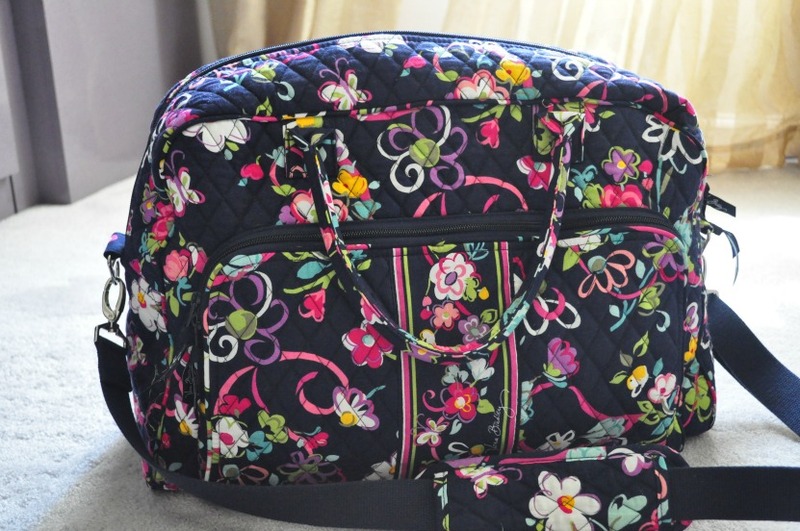 I ended up with the Vera Bradley Weekender in Ribbons. It is the perfect size for corraling all of Penelope's things, my things and more. Admittedly, it is a BIG bag. But I love it so much. It holds everything, is lightweight and it is absolutely adorable. Not to mention that I got a free gift with purchase. The lovely saleswoman talked me into getting the ditty bag (the little knapsack), which is vinyl-lined and one of the most perfect items ever. I simply throw Penelope's soiled (read: heavily pooped in) clothes in there when we are out and about and the whole thing can get washed when we get home. Genius, no? I don't have to worry about carrying around giant Ziploc bags or dirty clothes touching clean ones. Unfortunately they didn't have the matching pattern, but I like this one too and it's easy to spot all rolled up in the carry-all bag. Now that we have that out of the way, let's take a peak inside, shall we? I love that I can look inside and see everything right away. I also never feel like I'm sacrificing anything that we might need. I take 2 blankets with me always - one receiving blanket (pictured) for putting down on her plastic changing mat and one aden & anais swaddle blanket (not pictured) for when she naps. I adore my Skip Hop changing mat and will write more about that in another post. I have at least 3 outfits, 2 bibs and 2 burp cloths for her at all times. In the side pockets, I store all of the little things, like hand sanitizer, stain remover spray and baby lotion. On the other side, I can fit my things, like my wallet and lip balms. Oh and the last thing I want to mention is the Babee Covee. My mom got this for me and I love it. It serves as a car seat cover (to block out light), a nursing cover, a stroller blanket and more. I fold it up nice and tight and secure with one of her larger hair bows. And as for the diapers? I like to keep them in the outside pocket. I also keep a stash of 5 in a compartment of the changing mat, along with wipes and Desitin. The outside pocket of the carry-all is just for extras. 12 diapers is my comfortable number for going out. And other items not pictured that this wonderful bag fits include the full ditty bag, her bottles, video monitor if needed, my manual pump and more. So there you have it. 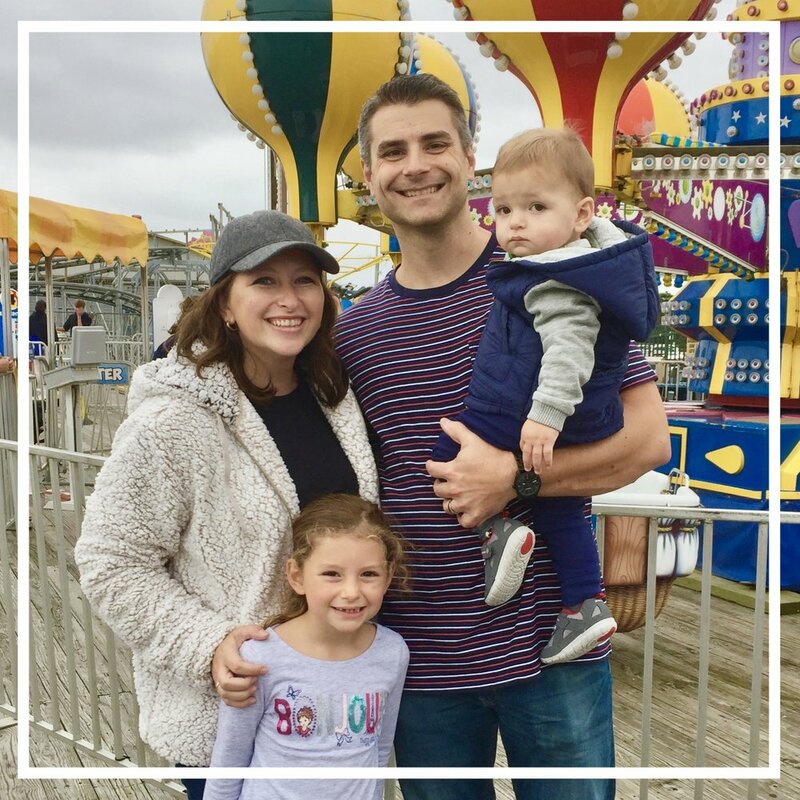 Probably much, much more than you wanted to know about my baby carry-all, but it's really a life-changing item and I get an inordinate amount of joy in being so organized! So what do you think? Do you carry a diaper bag? Or do you go the purse route? What are your must-have items for toting around with baby?